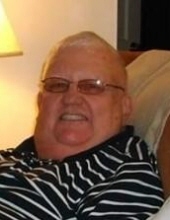 DURHAM: Billy Bullock, 74, passed away on Thursday, March 21, 2019 at Hock Family Pavilion in Durham. He was born in Wake Co., NC to the late Cecil Edward Bullock and Lula Virginia Wheeler Bullock. Mr. Bullock was a long-time member of Calvary Free Will Baptist Church. He worked with Pepsi Cola Bottling Company for over 15 years. He had a passion for drag racing, so much he even had his own race car that he raced in Roxboro, Piedmont and Rockingham. Mr. Bullock is survived by his wife of 54 years, Ginger Pauline Bullock; son, Timothy Bullock (Shanon); grandchildren, Kristen Bullock, Sara Bullock, Grace Sisk, Jacob Sisk; brothers, Donald Bullock (Linda), Carl Jordan; and sister, Betty Capps (Ricky). The family will receive friends from 6 to 8 p.m. on Sunday, March 24th at Clements Funeral Home in Durham. A funeral service will be held at 1:00 p.m. on Monday, March 25th at Clements Funeral Chapel in Durham with Rev. Virgil Nolen and Rev. Billy Keith officiating. Burial will follow in Oak Grove Memorial Gardens. Flowers are acceptable or memorial donations may be made to Duke HomeCare and Hospice at Hock Family Pavilion: Office of Development, 4321 Medical Park Dr., Suite 101, Durham, NC 27704. To send flowers or a remembrance gift to the family of Billy Bullock, please visit our Tribute Store. "Email Address" would like to share the life celebration of Billy Bullock. Click on the "link" to go to share a favorite memory or leave a condolence message for the family.